I have a little side interest I am developing at Energy and Environment and it is called “I want to know more about Virtual Reality (VR) and I want to know it now.” You too? Video games right? Under all my trash talkin’ and energy auditin’ what I really want to be doing is immersing myself in the virtual realm just to see what it is like to be me but better. Obviously I am not the only one with this wish. Hollywood and online gaming is drooling over the potential of VR. I wouldn’t say I am drooling just a healthy interest. Put down the phone – I mean brain sensor – do not message my boss to let him know I’ve gone off the deep end. There is a connection…I’m getting to it. I heard about him and his work at the Behaviour Energy and Climate Change conference I went to a few years ago. He is designing immersive experiences that take people up close to environmental destruction and then monitor their pro-environmental behaviours and habits after the virtual experiences. He has found that if you virtually cut down a tree you use less paper in real life. He says if you virtually load cattle on a truck for slaughter you eat less meat in real life. Cool right? 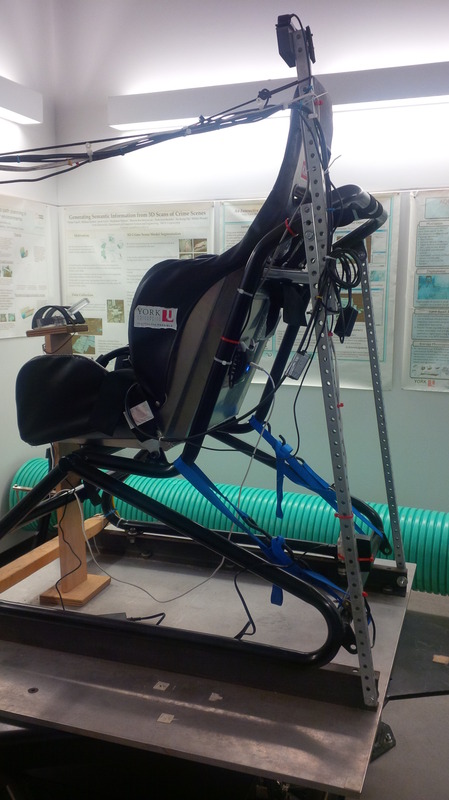 This is obviously not an inexpensive way to go about doing things – the helmet you have to wear in his lab is $40,000 (recently replaced with the almost as good Oculus Rift $200) and if we were going to change everyone’s behaviour one-by-one-by-one…it would take too long. However, there are some universal lessons in there and my first stop on this journey was York University Virtual Reality and Perception Laboratory. This lab is doing amazing things. Look at real me – being virtual. 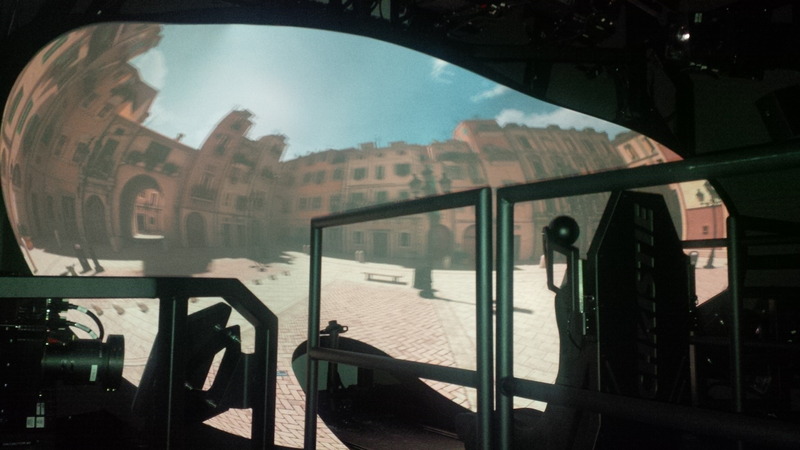 Look at a real room with lots of real equipment that make virtual worlds . I guess is comes as no surprise that there is more going on around us than meets the eye. Thanks virtual reality for being so cool – I can’t wait to go off the deep end. 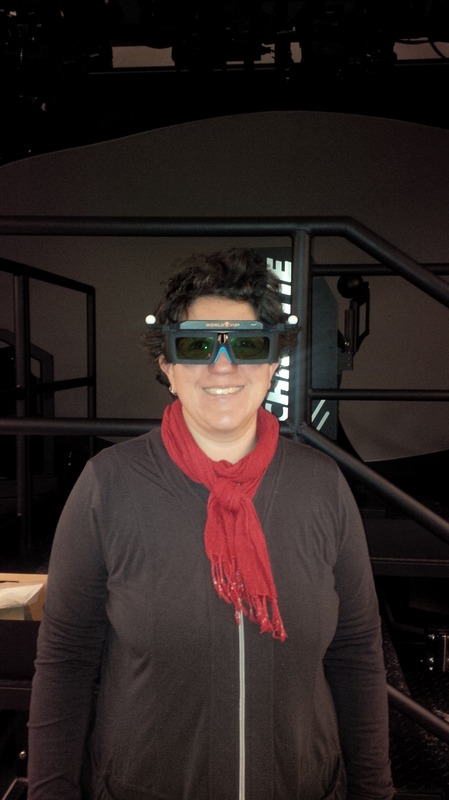 This entry was posted in Beyond Talkin' Trash and tagged lab, research, virtual reality. Bookmark the permalink.